Frank W. Harrison is a legacy name at LSU, where three generations of Harrisons have received degrees. Frank W. Harrison, Jr. was instrumental in helping the LSU Foundation in its early stages, and only left the Foundation’s Board of Directors to pass the torch to his son, Frank W. “Billy” Harrison, III. Billy is now leading the Harrison family legacy of giving back to LSU. In his nearly 15 years of active involvement with the Foundation, Billy has seen LSU alumni and friends develop a more philanthropic mindset. “From my father’s generation, to my generation, to the younger generation, the Foundation has tried to cultivate, through outreach to alumni, a culture of giving back to the academics of LSU,” he said. Billy shared that this evolution of philanthropy will continue to grow with the Foundation’s proposed new building across from Tiger Stadium. “We need a higher visibility … and a presence on campus that says ‘We are the Foundation.’” He added that the Foundation also needs more space on campus for its staff and development officers. Frank W. Harrison, III and his wife, Ann, are residents of Houston, Texas, and are dedicated supporters of the Department of Geology & Geophysics in the College of Science. In 2012, Billy was named to the College of Science Hall of Distinction and was designated a Tiger Leader in the 2011 LSU 100 awards. He is actively involved in the College of Science Dean’s Circle, Tiger Athletic Foundation and the LSU Alumni Association. 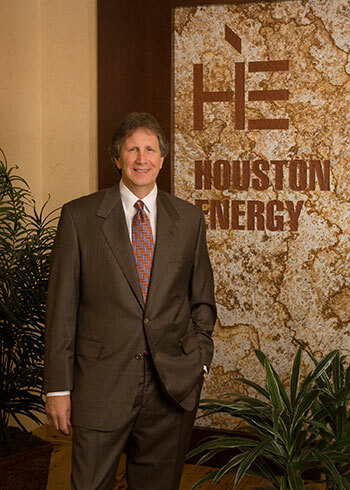 Billy is the co-founder and co-general partner of Houston Energy, L.P.